Recently, we shared a time lapse video on social media of a patient receiving JUVÉDERM® Ultra XC lip injections at our Peoria office. The patient, Ann, also works as a Cosmetic Nurse at Soderstrom Skin Institute. As a nurse injector, Ann administers JUVÉDERM® Ultra XC injections on a regular basis. 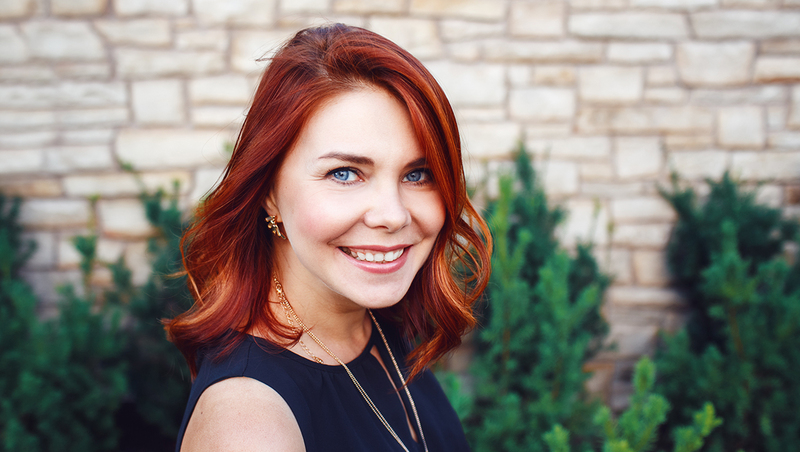 We sat down with Ann to learn more about her experience on both sides of JUVÉDERM® injections. Ann: JUVÉDERM® is a dermal filler made with hyaluronic acid – a natural substance in the skin that adds nutrients and helps the skin keep its softness and moisture. JUVÉDERM® is used to add volume to facial tissue (including lips) to create a smoother and fuller appearance of the skin. In the time lapse video, we used JUVÉDERM® Ultra XC, which is used for injection lips and perioral area (the tissue around the lips) for lip augmentation. Ann: JUVÉDERM® Ultra XC is for anyone who wants fuller lips. Some people want a fuller upper lip, some want a fuller lower lip and others want just a subtle enhancement. Many patients want enough of an enhancement that they notice the difference but not so much of a change that others to know that they had lip injections (no duckface or sausage lips!) A subtle change or a dramatic change is possible with JUVÉDERM® injections. Before you receive injections, it’s important to talk with your provider about your desired outcome from the procedure. JUVÉDERM® is also commonly used to treat volume loss in the lower third of the face including the nasal labial folds (wrinkles around the corners of the nose and mouth), marionette lines, mental crease (on the chin and vertical lines (also known as smokers lines). JUVÉDERM® can also be used to treat asymmetry. As we age, changes that occur on the face often do not happen symmetrically or synchronously. One side of the face may receive more damage from sun exposure or even sleeping on one side of the face more than the other. How was your experience receiving JUVÉDERM® lip injections? Ann: The procedure and recovery time are relatively short and my nurse injector did a great job with the injections to help me accomplish the look I was hoping for! Ann: I experienced little discomfort with my injections. My cosmetic injector applied a topical numbing cream 10 minutes before my injections. JUVÉDERM® also has lidocaine in its formulation to minimize discomfort. Ann: It varies from patient to patient and procedure to procedure. Commonly experienced side effects include temporary symptoms like redness, pain or tenderness at the injection side, itching, firmness, swelling, bruises, discoloration, and lumps. Some patients will experience side effects that are mild or moderate in nature, and their duration lasts 7 to 14 days. Like any injection procedure, there is also a risk for skin infection. What would you say to someone considering the procedure? Ann: JUVÉDERM® Ultra XC can be a great outcome if you do your homework and articulate your desired outcome with your physician, physician assistant, nurse practitioner or cosmetic nurse injector. We are fortunate that there are minimally invasive, non-surgical procedures like JUVÉDERM® Ultra XC, to help people look and feel younger and prettier. My esthetic goals were to accomplish fuller lips and to correct my smile. Everyone has different cosmetic and esthetic goals – our providers listen to your goals and make suggestions as needed to help you accomplish your vision for fuller lips. Lips are personal, which is why we develop individualized treatment plans for each of our patients at Soderstrom Skin Institute. As a nurse injector, I want to give my patients the best result possible – I am happy when my patients are happy. If you want to enhance your lips, I recommend setting up an appointment with a professional (like the professionals at Soderstrom Skin Institute) to learn more about the procedure and to talk though your goals and options. Interested? Give us a call at 1.888.970.7546 to schedule a consultation with our team!